As the Bible says, "The harvest is plentiful, but the workers are few". As most farmers know, the work on a farm is endless, but rewarding. Meet Don and Mary Kelley, the Co-owners of Mountain Meadows Farm, a family owned and operated farm. 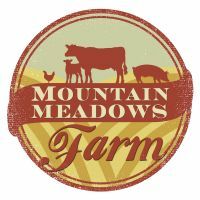 Don Kelley is a Co-Owner of Mountain Meadows Farm. He is responsible for the day-to-day chores and production. With his past building experience, he builds and maintains everything on the farm, from hay barns and mangers, to mobile chicken pens. He is also very instrumental in the sustainable farm living research and is passionate about teaching these principals to other families and farmers. Mary is a Co-Owner of Mountain Meadows Farm with her husband, Don Kelley. This is a family owned and operated farm, and it is a blessing to have the children and grandchildren living close-by, as they also help on the farm. Mary is responsible for assisting Don with the day-to-day farm chores. She is primarily found in the office working on bookkeeping, correspondence, marketing, and research. It is vital to keep in touch with customers and hear what they have to say.